A while back one of my customers ran into a issue when they wanted to install Update 1 for ESXi 6.0. Initially the ESXi hosts updated as expected, except five hosts. For these five hosts, the first difference was that the hypervisor is installed on rack servers instead of blade servers. Main reason for this was, these hosts needed to accommodate local storage. This local storage is used for VMware Virtual SAN. The five hosts where in the same VSAN cluster, and this cluster is used as management cluster for the customers entire vSphere environment. So these five hosts needed to get updated with Update 1 for ESXi 6.0, but VUM (VMware Update Manager) failed to install this update with a somewhat strange error message. With the help of the VMware Knowledge Base it became clear it had something to do with staging the Update before installing it on the ESXi host. Because this customer runs ESXi from a USB flash device, the scratch location is redirected to shared storage. This configuration is similar for both the blade and rack servers. My first thought was that there was something wrong with this redirection for these specific five hosts. But after reviewing the advanced settings and verifying the time and date stamps on the various logfiles of the hosts within the .locker folders located on shared, all looked fine. To my believe the update and patch staging location moved along with the logfile location when the scratch location was changed. A excellent blog post on logfile redirection and VSAN considerations when booting of a USB flash device is written by Cormac Hogan. So what do VSAN, ESXi hosts booting from a USB flash device and scratch folder redirection have to do with failing updates? I will come to that, please bear with me as first give you some background on the intended use and deployment method of the hosts concerned. Because these hosts are used as resources to run the management cluster on, these hosts where the first ESXi hosts to be deployed within the customers data center. No shared storage was available at the time of deployment. This imposes a challenge, to be able to use VSAN you need vCenter and to be able to deploy vCenter (as appliance or Windows based) you need storage accessible by one or more ESXi host(s). A solution is to bootstrap vCenter on a single VSAN node, yes a single ESXi hosts that runs VSAN with only it's own local storage!. With the use of bootstrapping the vCenter onto a single ESXi host using it's local storage to create the VSAN datastore I could build the VSAN cluster and add the remaining four ESXi hosts to complete the cluster. When the shared NFS storage became available later on in the project the scratch folder was redirected just like with all of the customers other ESXi hosts. And here is the catch, the time the ESXi hosts have been running without the redirection, they have been logging to the local flash device. Usually this is not a big issue, other then the risks mentioned in Cormacs' blog post. But when you use VSAN, there will be additional log or trace files written (vsantraces). And in this customers case there were also VSAN Observer files written to the local flash device, VSAN Observer is a tool used to monitor and capture performance statistics, originally only used by the VMware VSAN engineering team. More information on VSAN Observer can be found here. Vsantrace files can grow quickly up to 500 Mb and VSAN Observer trace files even larger, as I explained previously the scratch folder redirection was done some time (days) after the VSAN cluster became operational. When the redirection is done, the various trace files that are on the local flash device are NOT removed, these files do take up a considerable amount of space. In fact they take up so much space that there is not enough space left for staging Update 1 for ESXi 6.0 on the host. Manually removing the old VSAN related trace files from the local flash devices was what solved the VUM issue. After the files where deleted the remediation of the ESXi hosts using VSAN ran without any issue. Last week I ran into a VMFS version warning message while building a new vSphere 6 environment for a enterprise customer. This environment is a green field deployment, so everything is new from SAN infrastructure, Network, Compute and Storage. When I started adding payload ESXi hosts to their respective HA clusters, the only warning message I received was about the System logs being stored on non-persistent storage. This was expected as the hosts where Blades (without any local harddisks) which booted the hypervisor of a embedded USB device and there was no shared storage available yet. After presenting shared storage and adding it to the ESXi hosts, being formatted in the process as VMFS 5 (VMFS 5.61 to be exact) all looked fine. The only action I had done on the environment between adding the shared storage and rebooting the hosts was deploying a OVA. This was the EMC VSI (Virtual Storage Integrator) appliance, deployment, configuration and installing of the plug-in went without any trouble. Not sure if deploying the EMC OVA had anything to do with the warning message. In any case VMware has a KB article about the false positive deprecated VMFS warning. KB2109735 does not disclose what is causing this false positive, but it does suggest a simple yet effective solution to the problem. At least it did solve the problem in my case. By restarting the hosts management services the warning message is gone, the easiest way to do this is to run services.sh restart from either the DCUI or through a SSH session. The last couple of weeks I have been involved in the deployment of a vSphere 6.0 environment. This was my first vSphere 6.0 customer deployment. Most of the implementation plan I wrote and as this was my first customer deployment I had to do some rework on my default implementation, which I have used on vSphere 5.5 implementations. To write this implementation plan I used the official VMware installation and configuration documentation as guideline. At the time of writing all implementation steps seamed logical, but when we came to the actual implementation we ran into a issue when we tried to add Identity Sources to the PSC (Platform Service Controller). This customer vSphere environment is a large, multi tenant and multi site environment and for this reason together with the need for flexibility and scalability a design choice was made to use external PSC's. Also during the design sessions with the customer the decision had been made to use the vCSA (vCenter Server Appliance) instead of the up until vSphere 5.5 generally chose Windows based vCenter. The issue we ran in to has to do with in which order you go to the configuration steps after the PSC is deployed. At some point you want to be able to join a PSC to the Active Directory domain to be able to use AD integrated authentication. When using external PSC's like in this particular case you don't join vCenter (vCSA) to the domain but the PSC. The reason for this is simple, SSO (Single Sign On) and Authentication services are provided by the PSC not vCenter. The implementation plan followed the exact same steps for this part of the configuration as the VMware documentation and we followed the each en every step as they where documented in the implementation plan, but for some reason we still got a error message. After verifying that I had used the most recent version of the VMware documentation I did a quick check on the VMware communities to see if anyone else had ran into the same issue. There was a post dated March 27 2015 called "Wrong information in VMware 6.0 documentation vCSA 6.0" which described the exact issue and the writer came to the same conclusion that the VMware documentation has the configuration steps in the wrong order. This community post was posted two and a half months ago, clearly VMware hadn't been able to update their online documentation. Below you will find in short the correct steps and order to join a PSC (internal or external) to a Active Directory domain followed by adding Identity Sources to the PSC. For more details please have a look at the community post. Use the vSphere Web Client to log in as administrator@your_domain_name to the vCenter Server instance. 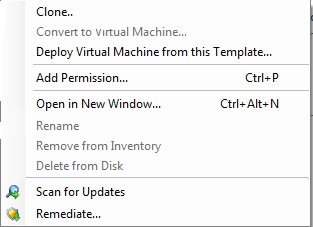 Under Deployment, click System Configuration. Under System Configuration, click Nodes. Under Nodes, select a node and click the Manage tab. Under Advanced, select Active Directory, and click Join. Type the Active Directory details (use the administrator@your_domain_name syntax for the user). Reboot the appliance, after the reboot login as described in step 1. Add the Active Directory domain as an identity source, enter the identity source settings, and click OK. Finished, you can now continue with the rest of the configuration like adding AD security groups to the roles defined in Global Permissions. I am sure that VMware eventually will update their online documentation. In the mean time, if you follow the steps described above the configuration should be easy. Alternatively you still could follow the steps as described in the VMware documentation, but you will run into this issue. The error message has gotten a link to the correct webpage where you can first join your PSC to a Active Directory domain. After a reboot you can then restart your configuration. Although the second option will take more time the end result will be the same. The largest VMware conference, VMworld is again having two conferences in 2015. As usual the first will be in San Francisco US and the second will be in Barcelona, exactly like previous year. Both conferences have a vast session catalog, but before a session even makes it to be hosted at the conference (US, Europe or both) there is a public voting possibility. This public voting gives you the opportunity to have some influence on what sessions will be hosted, it also gives a preview on what kind of sessions are being submitted. So give it a try and vote for the sessions you find interesting, a VMworld account is needed to vote, if you do not have one you can register and create a VMworld account. The closer we get to the actual conference dates, more and more information is published. Currently there already is some information regarding the key dates related to both of the conferences. But the most important is that registration for VMworld US is already open! So go and register !! Hope to see you at VMworld ! Yesterday one of my fellow 2014 vExperts mentioned me in a tweet, I received vExpert 2015 status! That was a great way to finish the day, thanks Niels for the mention! For me it's the second year in a row I have been awarded the vExpert status. When I received it the first time I didn't really understand what it was all about, I just liked to be active in the VMware community and blog about all I find interesting within the world of virtualisation and cloud computing. But having vExpert status does really open doors for you, entering beta programs, pre-release webinars and briefings, NFR licenses and most important a lot of colleague vExperts. Especially those vExperts and also the whole VMware community is what it is all about, it's great to get recognised for your contribution to this community. I’m thankful to be awarded the vExpert award in 2015. The VMware vExpert program acknowledges the people within the community that have contributed into evangelising virtualization as whole. It feels great to be part of that group and in my day to day role as Consultant as well as my role as blogger I will hopefully be able continue to contribute to the community. VMware reveals vSphere 6 ! Most people in the Virtualization industry already knew, today was the day of the big VMware event. There was enough speculation about what VMware would be revealing, but generally most rumors were telling vSphere 6 (or vSphere next). The rumors were right, VMware launched vSphere 6 today. 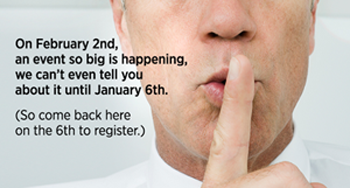 So why does VMware call this the biggest launch in VMware history? Well let's first look at the highlights of vSphere 6 and after we take a quick look under the covers of vSphere 6. With the new release VMware is focusing more and more on vCenter as a virtual appliance, no longer the appliance is in any way inferior to the Windows based vCenter. Both have the same maximums, although Vmware Update Manager is embedded within the vCenter virtual appliance (vCSA) a separate Windows (virtual) server is still needed for this component. New to the vCSA is a guided installer, instead of getting a OVF file from the vCenter installer ISO and importing it in your vSphere environment it now get's a separate ISO and a more wizard like deployment. For most deployments and customers, I think that the vCSA is the way to go from now on. Easier to deploy and no reboots regarding Microsoft security patches and updates. More secure and build-in upgrade/patch functionality. 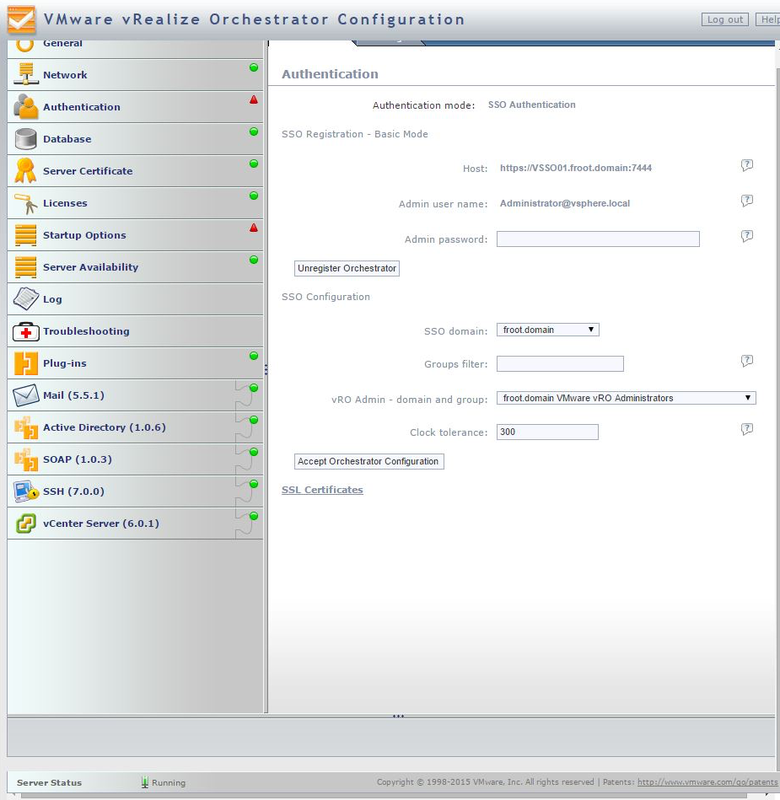 Although there will still be some doubt around troubleshooting vCenter as a virtual appliance, in addition there are also some vSphere features not integrated in the vCSA (yet). The configuration maximums have been updated to further improve scalability, clusters can now support up to 64 nodes, Hosts support up to 12 TB of RAM and Virtual Machines support up to 128 vCPUs and 4 TB of RAM. Creating Virtual Machines of this size you will need to use the new hardware compatibility version 11. Personally I have not seen many customers that have a use for Monster VMs, but it is good for the customers that do have this kind of VMs to be able to scale when needed. In addition to the already existing reservations for CPU and Memory, vSphere 6 introduces Storage IO Controls this supports per VM reservations for Storage. With this you can set reservation in IOPS per VM, in other words a guaranteed minimum in IOPS. Now the feature everybody was waiting for (I know I was), Virtual Volumes ( VVol). During the last couple of VMworlds VMware has been very busy promoting and explaining what VVol is about and why we need it. There is already so much information published around VVol, please checkout this blog post of Cormac Hogan is want to read up on it, that I will spare you the details. VVols is VMwares' way of making (existing) SAN/NAS systems VM-aware. The granularity of the current storage systems is mostly at LUN level, with VVol this is brought down to VM level. Every VM is comprised out of a minimum of 3 files, VMX (VM configuration), VMDK (hard disk file) and a swap file. With VVol each of these files becomes a separate volume a VVol. A VMware product already leveraging VVol is VSAN (Virtual SAN); this has been fun testing during the Beta program. The most important points I found exploring VSAN, it is simple to configure and manage. On top of that, depending on the hardware, it's incredibly high performance. Another new addition in the storage area is the introduction of NFSv4.1 support (with Kerberos). The next important enhancement is around vMotion, possibly one of the most "famous" vSphere features. Up until this new release of vSphere, vMotion was bound within a vCenter, or actually bound within a logical datacenter object. With the new release this is no longer the case, you could almost state that you now can vMotion across anything. Being able to vMotion across different vCenters and long distance vMotion, which will work up to 100 ms RTT are the two enhancements most important to me as most of the customers I work with have multi site environments. With these enhancements multi-site load balancing and "follow the sun" principles become possible. Other enhancements around availability are, vSphere FT is going SMP. Fault Tolerant is now able to protect VMs with up to 4 vCPUs. vSphere Replication is also enhanced and it will now support replication up to 2000 VMs per vCenter. The biggest complaint about vSphere 5.X was without doubt the web client, the look and feel of it was not good, performance was even worse. Along the vSphere 5.X versions it got better, but still not good enough for VM admins to stop using the C# client. To no surprise the web client has gotten a lot of enhancements on the performance part, login, action menus, page loading time, they all have been improved. Also an important enhancement is that the home screen layout looks again like the C# client, the recent tasks pane is back to the location it belongs, at the bottom center of the screen. Also all menus are flattened for quicker access to all menu actions. Next to the enhancements there are also some new features added to vCenter, the most important in my opinion is the Content Library. This is basically a place where you can effectively manage all your VM templates, vApps and ISOs. The content can then be synchronized / replicated across sites and or vCenters. One new feature that is added, will be greatly appreciated by anyone who ever had to manually replace all SSL certificates across their vSphere environment(s). The CLI interface called VMware Certificate Lifecycle Management, is going to be the way of managing both VMware and 3rd party certificates. One of the most important differences, in my opinion between vCenter in vSphere 6 compared to vCenter in vSphere 5.5 is the components it is comprised from. With the introduction of vSphere 5.1 we got SSO (Single Sign On), Inventory Service and Web Client as additional components that you could install on separate (virtual) servers next to vCenter itself. With 5.1 the general advice was to use a separate server for each of these components, especially in large enterprise environments to keep up performance and scalability. With vSphere 5.5 this advice was replaced with "keep the components together as much as you possibly can". Also the SSO component was rewritten, now with vSphere 6 all known components have been replaced. vCenter is now comprised out of only two main components, Management (vCenter server) and Platform Services Controller (PSC). This is similar for both versions (VCSA and Windows based). The management part handles vSphere management, Infrastructure monitoring and management and API's. And the PSC handles SSO, Licensing, Certificate Management (VMCA) and Identity Management. And more important, the installation or deployment options have become a lot simpler. You either install both components on 1 (virtual) Windows server (embedded node option) or you install the components on separate servers (individual node option). The same options are available for the vCSA. For now the general rule is to use the embedded option for standard vSphere environments. For more complex environments, which consists of more then one SSO enabled solution (example: vRealize Automation Center) and/or future need to do PSC replication across sites use the individual node deployment.